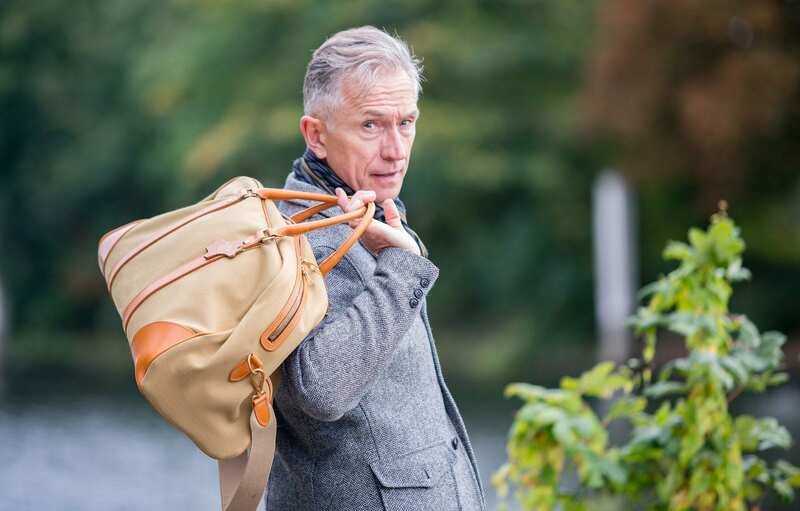 View the results of the Whitehouse Cox autumn/winter campaign, which saw the brand collaborate with David Evans of the Grey Fox Blog. 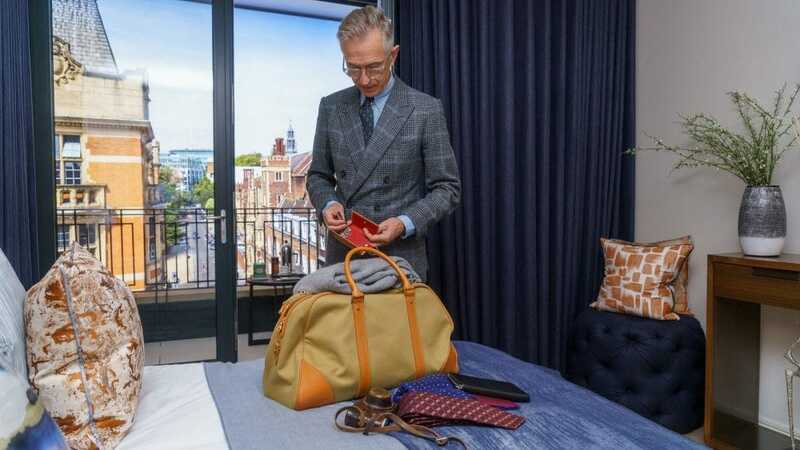 David Evans, the blog’s creator, certainly has an eye for style and his constant search for new fashions reveals itself expertly on his easy-reading blog and captivating Instagram feed. 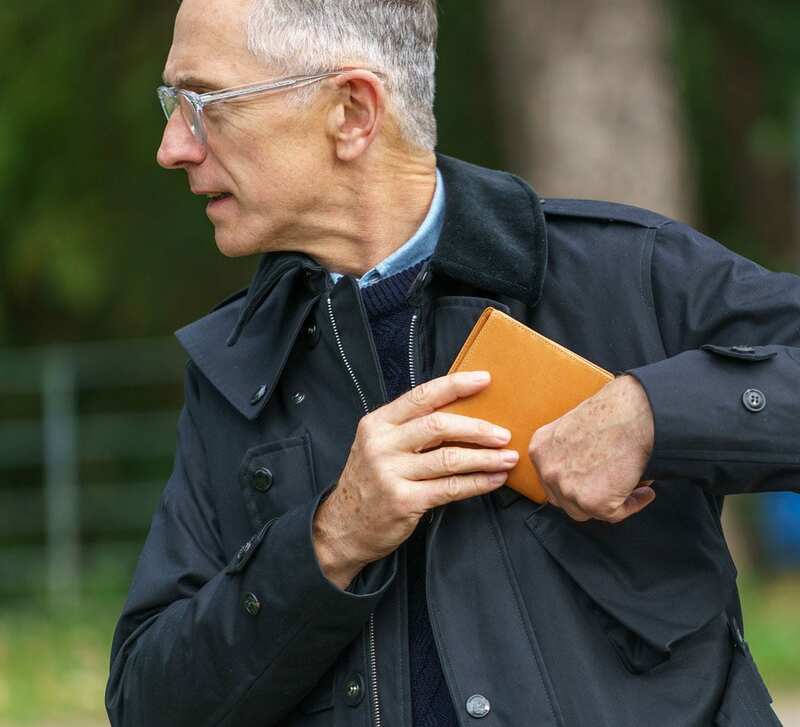 David may be older than your average Instagram sensation but at Whitehouse Cox we believe that older simply means wiser when it comes to fashion choices and David is the perfect proof of this. 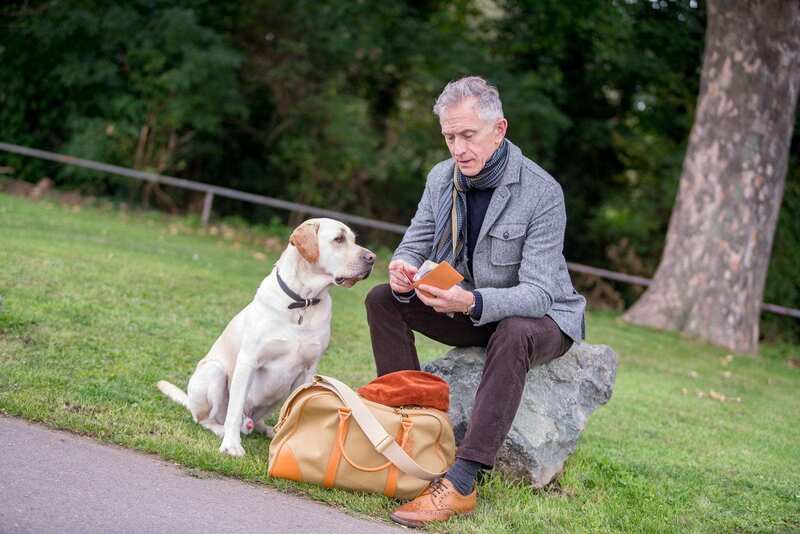 We sincerely doubt there are many gentlemen of any age who command better fashion sense than the Grey Fox Blog, hence why he was the perfect model for the Whitehouse Cox autumn/winter campaign. We were delighted to have David join us for the campaign, a true gentleman and a consummate professional he was a delight to work with and the stunning results of the campaign demonstrate his flair for fashion and modeling. At Whitehouse Cox, we are proud of the classic and refined design sensibilities of each item produced in our Walsall factory. 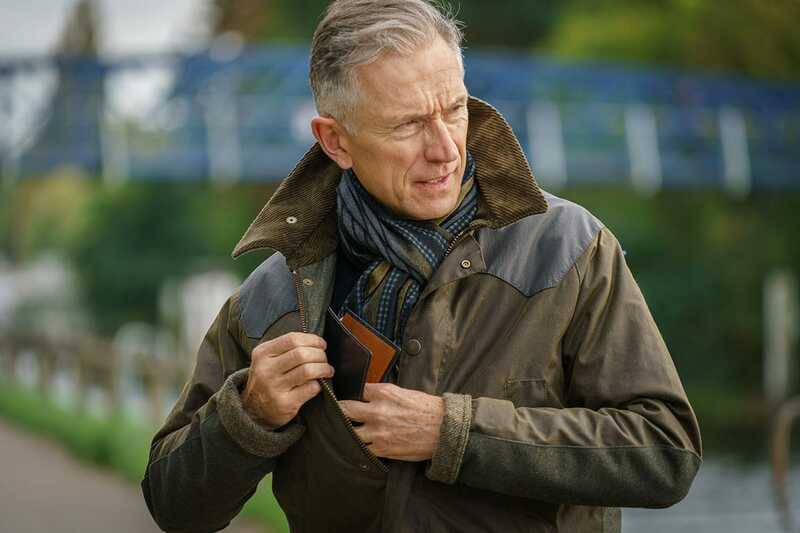 Due to the elegance of the items and the lack of overt branding, we’re also aware that they complement a wide range of outfits from slick city styles to countryside chic, so we developed the autumn/winter campaign to demonstrate the versatility Whitehouse Cox items offer. With that in mind, the campaign took two forms based on the aforementioned assumption – a sleek city shoot and a country chic autumnal vibe. For the first, David joined us in Lodha’s 3 St. James’ Square Headquarters where we were given use of the company’s showroom for their stunning Lincoln Square development. With an interior designed by Alexander James, the experience within the apartment is truly luxurious and it made for the perfect setting in which to shoot the Whitehouse Cox range. Lincoln Square is a 10-storey new build residential scheme of outstanding studio, one – four bedroom apartments and penthouses with dedicated amenities level spread over 1,600+ sq. metres & private garden court with 860+ sq. metres of landscaping. As a truly stylish gentleman, David was prepared with a number of outfits for the shoot and utilised his vast wardrobe throughout the shoot to complement each product individually. The results, we hope you’ll agree, were fantastic. After a morning spent in the luxurious confines of Lodha’s apartment, the crew moved to Teddington where we were joined by a second model, David’s ‘blog dog’ Harry the Labrador. They say never work with children or animals but Harry was the consummate professional throughout, posing with great poise throughout the shoot. 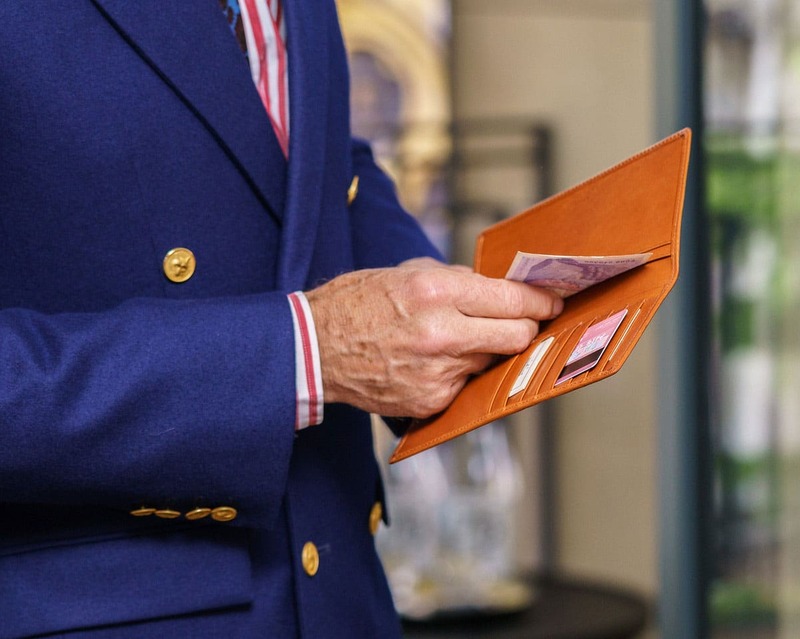 With a country chic vibe, David had once again brought a variety of outfits to complement the occasion and we particularly like this shot of David tucking away the Whitehouse Cox saddle leather credit card notecase into a made in England Grenfell jacket! Here’s one more of David tucking away a Tall Hipster Wallet! A big thank you to David and Harry for their supreme professionalism, they proved the perfect pair to showcase Whitehouse Cox and we look forward to collaborating with them both in future! If you would like to see more of the images from the shoot follow Whitehouse Cox on Instagram. Shop the Whitehouse Cox range today.